For any pizza, you need a good base, a flavoursome tomato sauce, Mozzarella cheese and a few basil leaves, scattered on top. Well, it’s still April, and the Very Good Recipes Challenge this month is “April Fool“. Here is my entry. Think Pizza Margherita….think again!!! Cream the butter and sugar together until pale and fluffy, add the vanilla extract and the lemon zest, then sift in the flours and salt, and combine until all the ingredients come together. Knead on a floured surface to form a soft dough. Wrap, and chill in the fridge for at least 30 minutes. Roll out the dough, and form into a “pizza base” shape, place on a baking tray lined with parchment paper, and bake in a pre-heated oven 170C/325F/Gas 3 for 30 minutes. Leave to cool on a wire rack. 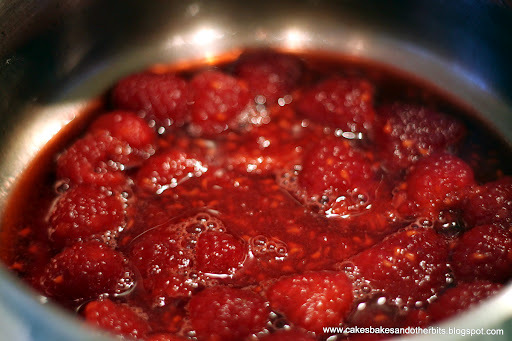 Heat the raspberries in a pan with the sugar, lemon juice, and water so that the fruit softens and the sugar dissolves. Blend the coulis with a hand-blender, pass through a sieve into a bowl. Place the coulis back in the pan. Mix the Ground Arrowroot and water together, and add to the coulis. Heat very gently until the sauce thickens. Tip: Using Ground Arrowroot will not add a “white” hue to the sauce. It allows the sauce to keep it’s own colour. If you use cornflour, it will turn this sauce a pale pink. 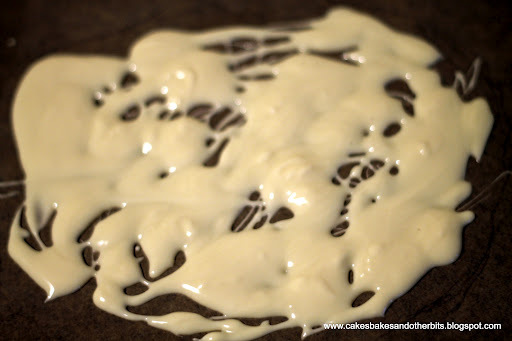 I melted 70g of white chocolate in a glass heat-proof bowl over a simmering pan of just-boiling water. I then drizzled the chocolate on to a baking tray lined with parchment paper and placed it in the fridge to set. Tip: Using a glass bowl allows you to see if the water in the pan is touching the bowl’s base. If that happens, your chocolate will seize, and be unusable. These were made from Royal Icing which I coloured green and cut out “leaf” shapes. They don’t make Basil-shaped cutters, so I had to make to with just leaves! 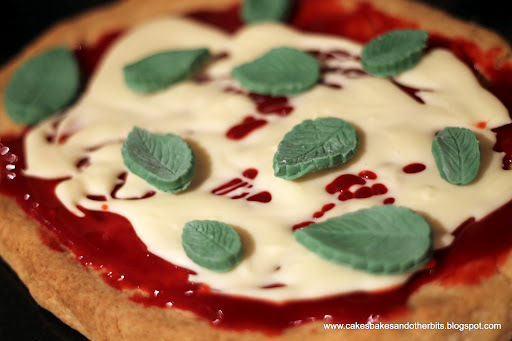 Assemble the “pizza” by spreading a generous layer of the coulis on top of the shortbread. 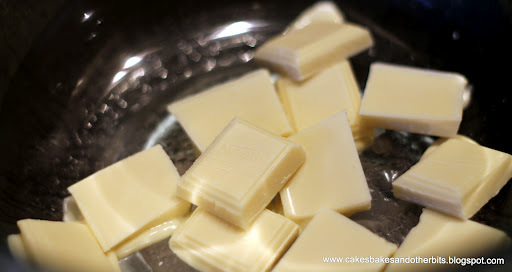 Carefully remove the drizzled white chocolate from the parchment paper and place on the “pizza”. Finally, arrange the “basil” leaves on top. The “sweetest” Pizza Margherita you will ever have! 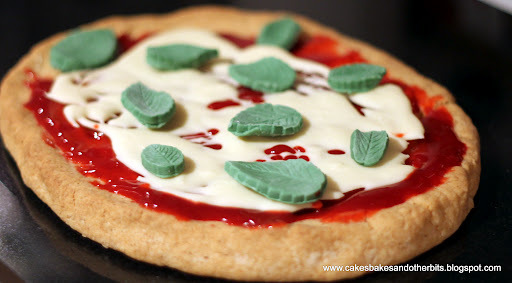 When I was a child and used to watch Sesame Street, thats exactly what I thought a pizza was, sweet pastry with jam on top. Imagine my disgust when I realized in later life when pizza eventually came to Ireland that it was tomato sand cheese on bread – gross! I like yours better. WOW! my compliments for this great idea! it looks likea a real pizza, I am from Italy and your pizza looks delicious! brava! That's great, the 'cheese' looks particularly realistic! Oh that is clever, I am liking it very much and so beautifully presented. Thank you Shaheen, a nice dessert based on something else entirely! Very interesting idea. Thank you for your contribution to the event. I love it when people make good that looks like other food. The pizza looks fantastic and knowing you it tastes even better. This is one good looking pizza! I love it when people make one food look like another one. It takes way more talent than I have. Congratulations! 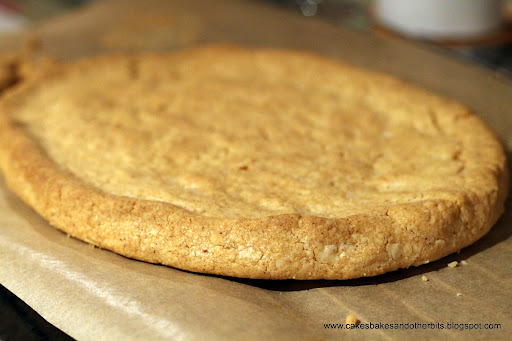 Hi Colette, the results for the April Fool's Recipe Challenge is out(finally). Thanks for the waiting & you've won the 2nd place in this challenge, congratulations! Please go to my blog to view the full results!